The demolition of Ebbets Field began on February 23, 1960, a little over two years after the Brooklyn Dodgers had finished their final season in Brooklyn. An urn of dirt from behind home plate was given to former catcher Roy Campanella. 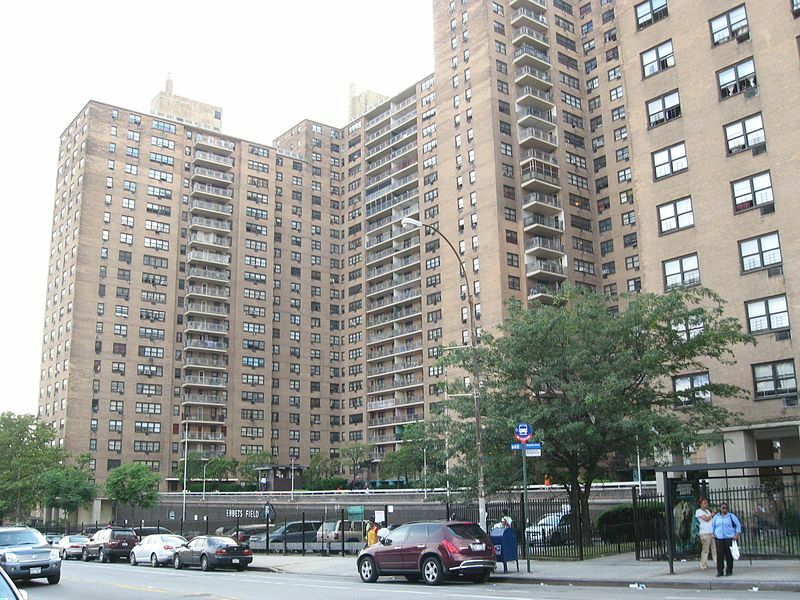 In place of the stadium, apartment buildings rose, called Ebbets Field Apartments. What a terrible loss – to the Borough, the City, the whole culture! Regards Thom. It certainly would make for an amazing experience to visit Ebbets Field, if it were still standing today. It’s one of those pieces of history that make me wish I had a time machine at my disposal.